Neander was the first important hymn-writer of the German Reformed Church since the written mostly at Düsseldorf, after his lips had been sealed to any but official work. The true history of his unfortunate conflict has now been established from the original documents, and may be summarized thus. The school at Düsseldorf was entirely under the control of the minister and elders of the Reformed Church there. The minister from about July, 1673, to about May, 1677, was Sylvester Lürsen (a native of Bremen, and only a few years older than Neander), a man of ability and earnestness, but jealous, and, in later times at least, quarrelsome. With him Neander at first worked harmoniously, frequently preaching in the church, assisting in the visitation of the sick, &c. But he soon introduced practices which inevitably brought on a conflict. He began to hold prayer meetings of his own, without informing or consulting minister or elders; he began to absent himself from Holy Communion, on the ground that he could not conscientiously communicate along with the unconverted, and also persuaded others to follow this example; and became less regular in his attendance at the ordinary services of the Church. Besides these causes of offence he drew out a new timetable for the school, made alterations on the school buildings, held examinations and appointed holidays without consulting any one. The result of all this was a Visitation of the school on Nov. 29, 1676, and then his suspension from school and pulpit on Feb. 3, 1677. On Feb. 17 he signed a full and definite declaration by which "without mental reservations" he bound himself not to repeat any of the acts complained of; and thereupon was permitted to resume his duties as rector but not as assistant minister. The suspension thus lasted only 14 days, and his salary was never actually stopped. The statements that he was banished from Düsseldorf, and that he lived for months in a cave in the Neanderthal near Mettmann are therefore without foundation. Still his having had to sign such a document was a humiliation which he must have felt keenly, and when, after Lürsen's departure, the second master of the Latin school was appointed permanent assistant pastor, this feeling would be renewed. A und Ώ, Joachimi Neandri Glaub-und Liebesübung: — auffgemuntert durch ein fällige Bundes Lieder und Danck-Psalmen, Bremen, Hermann Brauer, 1680; 2nd ed. Bremen, 1683 ; 3rd ed. Bremen, 1687; 4th ed. Frankfurt, 1689. These editions contain 57 hymns. In the 5th ed., Frankfurt and Leipzig, 1691, edited by G. C. Strattner, eight hymns were added as being also by Neander. [The whole of these eds. are in the Royal Library, Berlin. The so-called 3rd. ed. at Wesel, 1686, also found in Berlin, was evidently pirated.] Other editions rapidly followed till we find the complete set (i.e. 57 or 58) formally incorporated as part of a hymnbook, e.g. in the Marburg Reformed Gesang-Buch, 1722, where the first part consists of Lobwasser's Psalter, the second of Neander's Bundeslieder, and the third of other hymns. Neander's Bundeslieder also form a division of the Lemgo Reformed Gesang-Buch, 1722; and of a favourite book used in the meetings conducted by G. Tersteegen, which in the 5th ed., Solingen, 1760, has the title Gott-geheiligtes Harfen-Spiel der Kinder Zion; bestehend in Joachimi Neandri sämtlichen Bundes-Liedern, &c. In this way, especially in the district near Düsseldorf and on the Ruhr, Neander's name was honoured and beloved long after it had passed out of memory at Bremen. Many of Neander's hymns were speedily received into the Lutheran hymnbooks, and are still in universal use. The finest are the jubilant hymns of Praise and Thanksgiving, such as his "Lobe den Herren”, and those setting forth the Majesty of God in His works of beauty and wonder in Nature, such as his "Himmel, Erde", and "Unbegreiflich Gut"; while some of his hymns of Penitence, such as his "Sieh hier bin ich, Ehrenkönig" (q.v. ), are also very beautiful. Many are of a decidedly subjective cast, but for this the circumstances of their origin, and the fact that the author did not expect them to be used in public worship, will sufficiently account. Here and there there are doubtless harshnesses, and occasionally imagery which is rather jarring; and naturally enough the characteristic expressions and points of view of German 17th cent. Pietism and of the "Covenant Theology" are easily enough detected. But the glow and sweetness of his better hymns, their firm faith, originality, Scripturalness, variety and mastery of rhythmical forms, and genuine lyric character fully entitled them to the high place they hold. Of the melodies in the original edition of 1680 there are 19 by Neander himself, the best known being those to Nos. viii. and xi. below. All my hope is grounded surely. A full and good translation by Miss Winkworth, as No. 8 in her Chorale Book for England, 1863. Another translation is: "All my Hope is fix'd and grounded." By J. C. Jacobi, 1720, p. 17, repeated in his ed., 1732, p. 64, altered and beginning, "All my Hope is firmly grounded." ii. Unbegreiflich Gut, wahrer Gott alleine. Summer. According to tradition this was written in the summer of 1677, in a cave in the Neanderthal near Düsseldorf, while Neander was in enforced absence from his school duties (Koch, vi. 20). It is founded on Ps. civ. 24. 1680, p. 165, in 12 stanzas of 6 lines, and entitled, "The Joys of Summer and Autumn in Field and Forest." The following note shows that the "Feeling for Nature" is not entirely modern. “It is also a travelling hymn in summer or autumn for those who, on their way to Frankfurt on the Main, go up and down the river Rhine, where between Cologne and Mainz, mountains, cliffs, brooks and rocks are to be beheld with particular wonder; also in the district of Berg in the rocky region [the ‘Gestein' now called the Neanderthal], not far from Düsseldorf." 0 Thou true God alone. A very good translation, omitting st. x., by Miss Winkworth, in her Christian Singers, 1869, p. 286. Her translation of st. i., iii.-v. altered in metre, and beginning "Thou true God alone," are No. 53 in M. W. Stryker's Christian Chorals, 1885.
iii. Auf, auf, mein Geist, erhebe dich zum Himmel. Holy Communion. Founded on Ps. xxiii. 6. 1860, as above, p. 27, in 5 stanzas, entitled, "The soul strengthened and refreshed. After the reception of the Holy Communion." In Porst's Gesang-Buch, ed. 1855, No. 218. In the Moravian London Gesang-Buch, 1753, No. 697, it begins, "Den Himmels-Vorschmack hab' ich auf der Erde," and in the Brüder Gesang-Buch, 1778, No. 1178, it was further recast (by C. Gregor?) and altered to "hab'ich schon hinieden." Translated as "Heav'n's foretaste I may here already have." By F W. Foster & J. Miller, as No. 596, in the Moravian Hymn Book, 1789. In the 1801 ed. (1849, No. 1003) it begins, “Since Jesus dy'd, my guilty soul to save." iv. Der Tag ist hin, mein Jesu, bei mir bleibe. Evening. Founded on St. Luke xxiv. 29. 1680, p. 15, in 6 stanzas entitled, "The Christian returning thanks at eventide." In the Unverfälschter Liedersegen, 1851, No. 512. The translations are: (1) "The Day is gone, come Jesu my Protector." In the Supplement to German Psalmody, ed. 1765, p. 72. (2) "The day is past, Thou Saviour dear, still dwell my breast within." By H. J. Buckoll, 1842, p. 82. (3) "The day is gone, abide with me tonight." By E. Massie, 1867, p. 192. (4) "The day is gone, abide with me, 0 Jesus." By R. Massie, in the Day of Rest, 1877.
v. Grosser Prophete, mein Herze begehret. Love to Christ. Founded on 1 Cor. xvi. 22. 1680, p. 191, in 4 stanzas. Translated as “Heavenly Prophet, my Heart is desiring." By J. C. Jacobi, 1720, p. 40.
vi. Jehovah ist mein Licht und Gnadensonne. God's Perfections. Founded on 1 John i. 7. 1680, p. 19 in 4 stanzas, entitled, "Walking in the Light." Translated as, "Jehovah is my light, salvation showing." By Dr. H. Mills, 1845 (1856, p. 6). vii. 0 allerhöchster Menschenhüter. Morning. A hymn of praise to our Almighty Preserver. 1680, p. 11, in 6 stanzas, founded on Ps. lix. 16; and entitled, "The Christian singing at Morning." Translated as, "O Thou Most Highest! Guardian of mankind." By Miss Winkworth, 1858, p. 72.
viii. 2. 1680, p. 147, in 6 stanzas, entitled, "The glorious Jehovah." In the Unverfälschter Liedersegen 1851, No. 344. The well-known melody (in the Society for Promoting Christian Knowledge Church Hymns called Munich) is also by Neander, and appeared along with the hymn. Translated as, "Sovereign Ruler, King victorious," in the British Herald, Dec, 1865, p. 185, and Reid's Praise Book, 1872.
ix. Wie fleucht dahin der Menschenzeit. For the Dying. A powerful hymn on the vanity of the earthly, founded on Ps. xc. 12. 1680, p. 174, in 7 stanzas, entitled, "He that counts his days." In the Unverfälschter Liedersegen, 1851, No. 845. The translations are: (1) "This life is like a flying dream" (beginning with st. ii. "Das Leben ist gleich wie ein Traum"). By Mrs. Findlater, in Hymns from the Land of Luther, 1858, p. 24 (1884, p. 146). (2) "Though hastening onward to the grave." By E. Massie, 1867, p. 36.
x. Wo soil ich hin? wer helfet mir? Lent. Founded on Romans vii. 24. 1680, p. 51, in 5 st. entitled “The distressed one longing for Redemption." In the Unverfälschter Liedersegen, 1851, No. 393. The translations are: (1) "For help, O whither shall I flee." By Dr. H. Mills, 1845 (1856, p. 146). (2) "How shall I get there? who will aid?" By Miss Warner, 1858, p. 52. 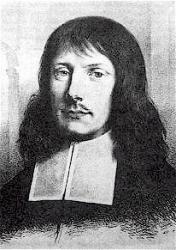 Joachim Neander (Neumann) (1650 – 31 May 1680) was a German Reformed (Calvinist) Church teacher, theologian and hymn writer whose most famous hymn, Praise to the Lord, the Almighty, the King of Creation (German: Lobe den Herren, den mächtigen König der Ehren) is generally regarded as one of the greatest hymns of praise of the Christian church and, since being translated into English by Catherine Winkworth in the 19th century, it has appeared in most major hymnals.